In traditional Chinese culture, the family of a deceased person mourns for 100 days, wearing somber clothing and performing solemn rituals. Even in contemporary China, a country whose rush into modernity has enabled many of its citizens to travel abroad for the first time, the old traditions remain powerful. June 16 marks the 100th day since Malaysia Airlines Flight 370 disappeared with 239 people onboard. Had it been a "normal" crash, the families of the plane's 153 Chinese nationals would be coming to the end of the customary mourning period now, prepared to resume their lives. But for many, that ritual -- and the comfort it would bring -- are elusive. It's a request that may, unfortunately, never be honored. The fate of the plane and its passengers is as mysterious as it was when the Boeing 777 went off the radar on March 8. For everyone involved, the long-drawn-out uncertainty compounds the anguish. It also complicates the already fraught process of determining compensation for the families of the victims. The litigation doesn’t stop there. Families of victims may then file civil lawsuits, either against the airline or, if liability can be proven, against equipment manufacturers and in some cases, against individuals such as the pilot. But because no physical evidence of MH370 has surfaced, the airline has positioned itself to absorb the bulk of disbursements: Allianz -- the airline’s German-based insurer -- has reportedly placed $110 million into an escrow account in anticipation of settling compensation claims. But for MH370 families, these financial considerations may feel premature. Many have been unwilling to initiate legal proceedings. Mark Danko, a California-based lawyer and aviation-insurance expert, said that, according to the Montreal Convention, the window for filing suit is two years. But this isn’t a step every family is willing to take without conclusive evidence that their loved one is dead. “In some cultures it’s something they’d never do,” Danko said. Even those Chinese families who seek compensation may be setting themselves up for disappointment. Aviation crash compensation claims in the United States are considerably higher than anywhere else in the world -- families often receive as much as $10 million in American courts. 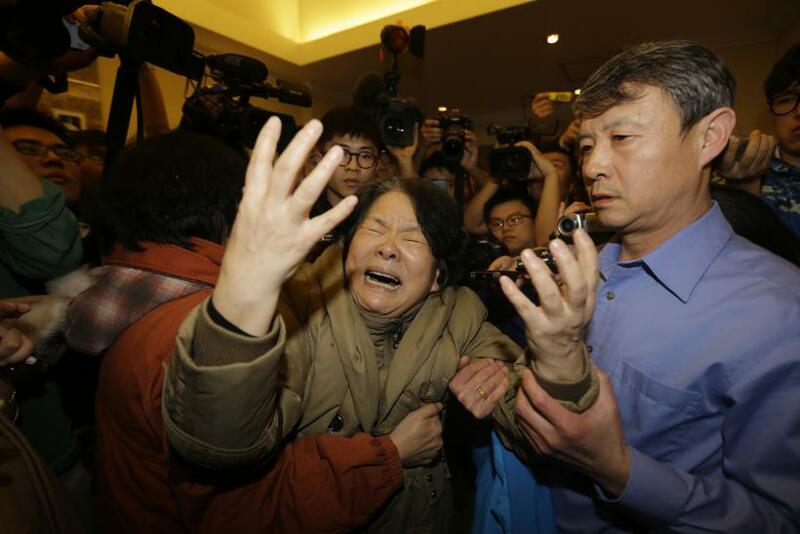 However, only a small percentage of MH370 families will likely be awarded compensation in a U.S. court. Under the Montreal Convention, lawsuits can be brought only in a country where passengers bought the ticket, where the airline is based, where the passenger is from, or where the passenger was ultimately headed. Given the location of the flight, and the fact that just three of the crash victims were U.S. citizens, relatives of very few victims will likely have a chance at obtaining American-sized rewards. Some passengers may have held insurance policies with China Life or other Chinese firms; government officials are likely to tell the firms how much to pay, reported USA Today. For now, these considerations remain secondary to the grief felt by the families, worried they won't ever know what happened to the people they loved who were headed to Beijing and never arrived. Hu Xuifang's son and daughter-in-law were on the plane, along with their toddler and their 8-month-old baby. "The five of us lived together," she said. "Now it's just me, in the empty house."